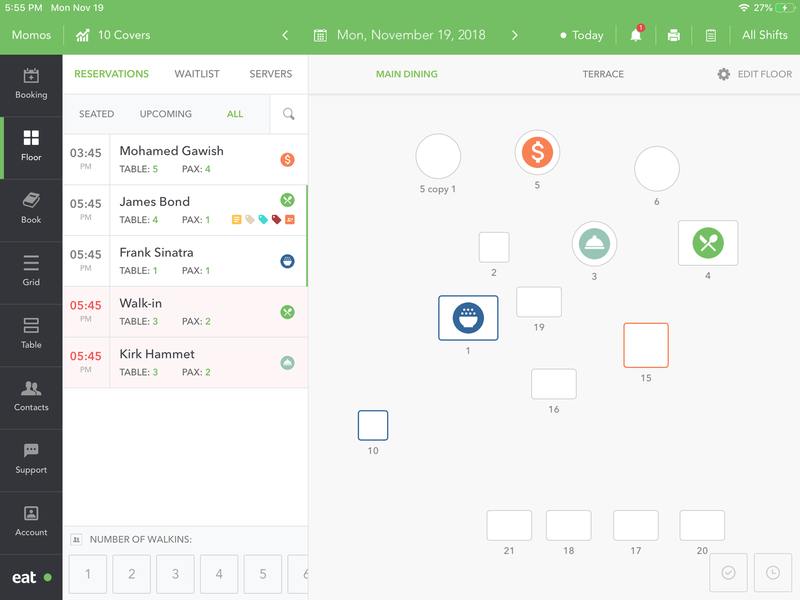 Users now also have the option to finish all tables by clicking the clear button. Tables can be finished on a room level or for the entire restaurant. 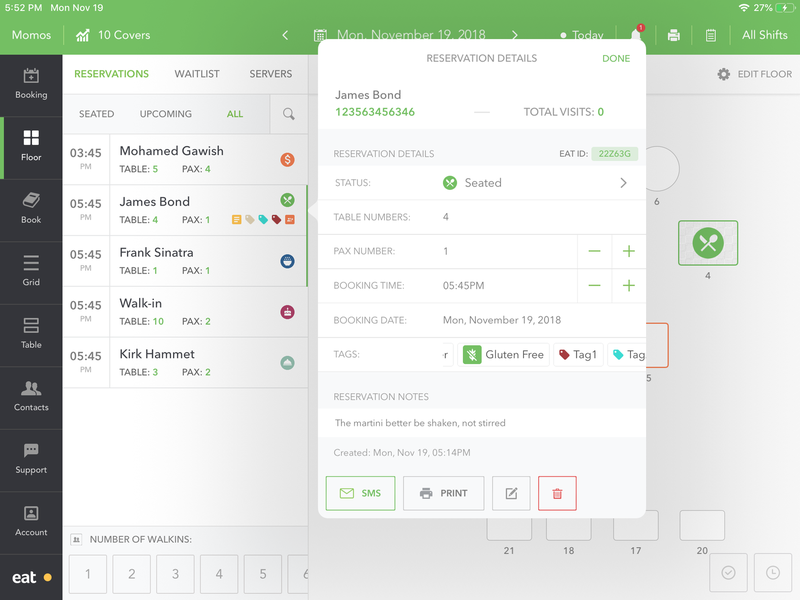 Restaurant Managers can now see the reservation open state by clicking on any reservation on the list in Floor View and Book View. Through the reservation open state the user can easily change the state, the reservation time and number of covers for a reservation. Users can also directly delete reservations and if they need to edit more details, by clicking on the edit button they will be taken to the main editing screen. Restaurant Managers are now able to see the timers for currently seated and upcoming reservation. When the user clicks on the seated tab in the listing with will see timers on the tables that indicate how much time has elapsed and is left for a table. The user can also see exactly how much time has elapsed underneath the table between the brackets. When the user clicks on the upcoming tab in the listing, the user can see a stack of timers showing the times for the next reservation. Note that each table only shows the upcoming 3 reservations. A reservation conflict is when 2 reservation are made on the same table with conflicting times. In the past the way to show overlapping reservation is on Table View. 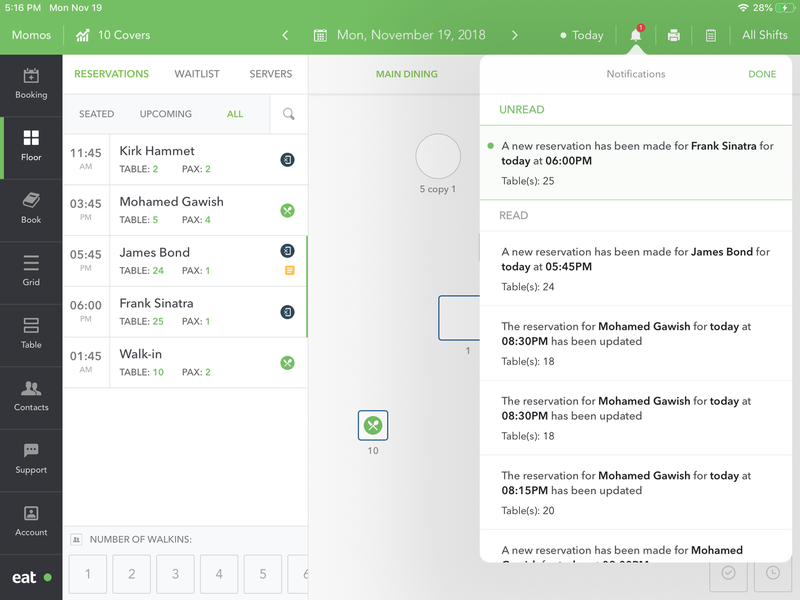 Now restaurant managers can see overlapping reservations on Floor, Book, and Grid view. Restaurant operators can now see a total count of covers for their restaurant on any given day through book view. Notifications help the restaurant manager keep track of changes that might be happening in the background without them noticing. In V1 of this feature we are notifying the user of new, updated and deleted reservations. This feature is designed to be not intrusive. New notifications count is displayed in the top notifications bubble. When the user clicks on the bubble the notification counter is cleared, and the user can see the new and old notifications. 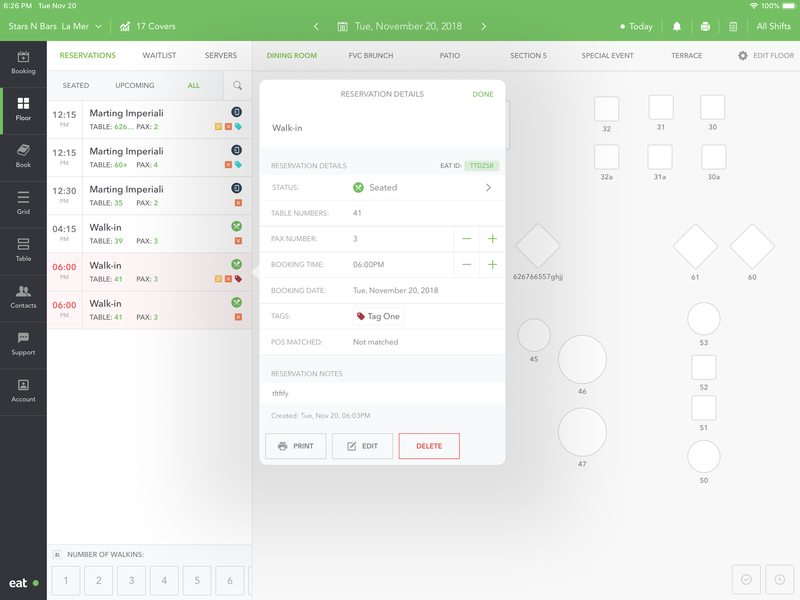 In one of our previous updates, we added the ability for restaurants to customize certain UI preferences through the admin website (ex: requiring a reservation taker to be added with every reservation). 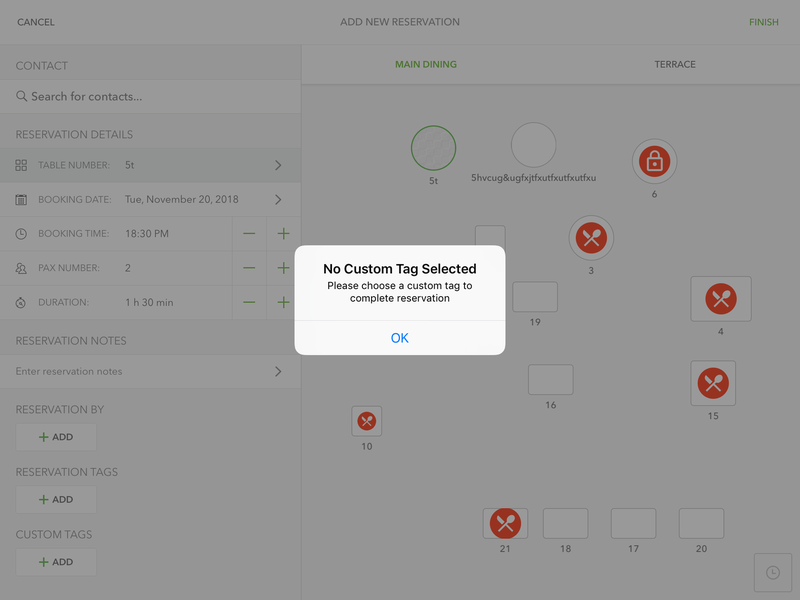 In response to an increase demand from restaurants, we've now added the UI preference which allows restaurants to mark custom tags as mandatory when creating a reservation. Note: If the restaurant doesn’t have custom tags, this preference will be ignored. Reservation Notes Disclaimer: To avoid confusion we are showing a disclaimer that edited reservation notes will be emailed to the customer. 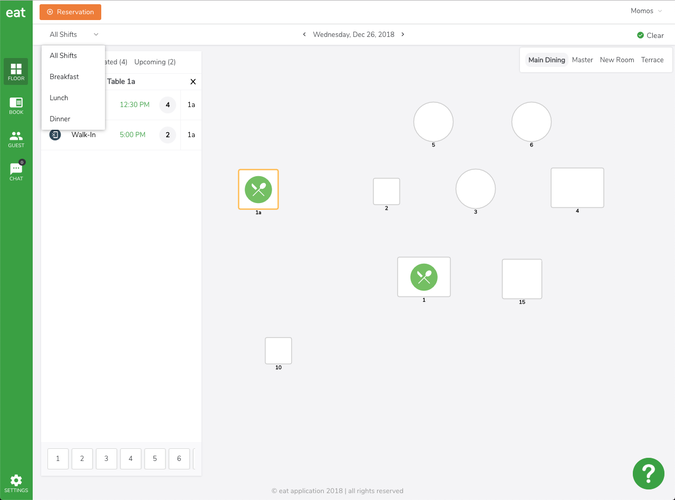 New Seated Status Icons, Tags and Custom Tags. Creating a reservation from table open state. Since launching the edit floor feature on the web, we've been listening to feedback from our restaurant partners. We've made some enhancements to this feature based on the feedback we've received. Dragging the table shape from the sidebar to the floor directly. Enhancing the drag and drop functionality on Edit Floor.